"I took over my father's insurance for his house when he died. They have been very helpful and I will continue to use them." "Few years back we needed a home owners policy ASAP . Bryan P. Braley went out of his way to get us best insurance at competitive prices. 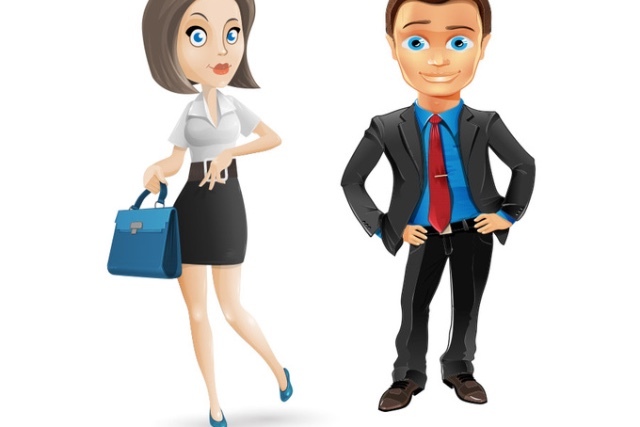 Always answered all questions quickly and helped with all paperwork thru transition.Would recommend them." "What I like best about Calfee is the PERSONAL service! So good to have that kind of response instead of something where you have to wait on the phone, etc." "Arthur Calfee agents were very helpful to us when we were setting up new home insurance. They promptly provided us with options that were the coverage we needed and gave us the option of different, reasonably priced options. They returned calls walked us through the process." "Excellent company right here in our town. Great service. Thank you." "This company has for almost 20 years provided us with top notch service. We highly recommend them." "The agents at Calfee are the BEST! Their patience and prompt reply to any issue is outstanding. They dutifully follow up and are kind, as a bonus! We appreciate them so much." "Most issues easily handled with an email. Cape insurance is a bit tricky and a good agency really helps." "Professional, friendly service. They really care about their customers and do what it takes to get you the best insurance at the best rate." "I had MPIUA insurance at our Cape Cod property for quite a while and decided it was time to go with a different insurer. MPIUA clients know the story. I was not in a rush. So I contacted four local agents in the area and Davidson Calfee was the only one to follow up and to see if I had made a decision. Made the deal on the spot. All other companies never called back. The policy was great and I have been insured with Calfee for 1 year. My interaction could not have been easier in setting up the policy specifics. I would recommend Calfee without hesitation. Thanks for the read." "Excellent service. Responds quickly and always returns phone calls. Definitely would recommend to family and friends." "Bryan was able to get us an exceptional reduction on property insurance and the agency is knowledgeable and quick to respond to questions. 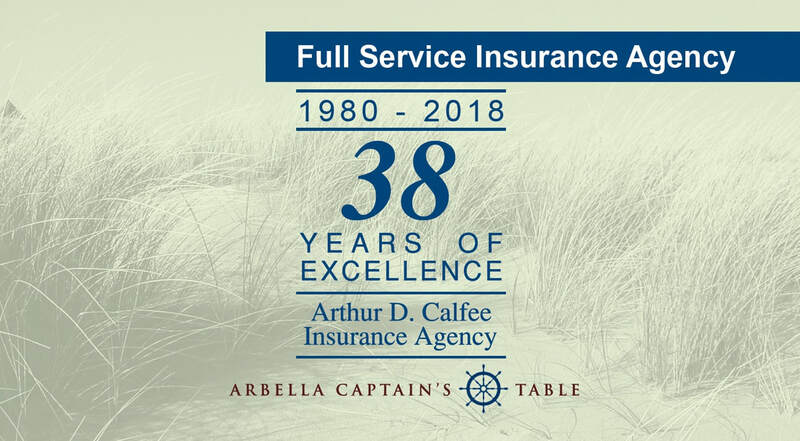 Very pleased with the service and products.."
"I've dealt with Bryan Brayley at Calfee, who has been very easy to work with, understanding of what I need for my house on the Cape, and willing to deal with questions promptly." Few years back we needed a home owners policy ASAP. Bryan P. Braley went out of his way to get us best insurance at competitive prices. Always answered all questions quickly and helped with all paperwork thru transition. Would recommend them. The agents at Calfee are the BEST! Their patience and prompt reply to any issue is outstanding. They dutifully follow up and are kind, as a bonus! We appreciate them so much. Most issues easily handled with an email. Cape insurance is a bit tricky and a good agency really helps. Professional, friendly service. They really care about their customers and do what it takes to get you the best insurance at the best rate. I had MPIUA insurance at our Cape Cod property for quite a while and decided it was time to go with a different insurer. MPIUA clients know the story. I was not in a rush. So I contacted four local agents in the area and Davidson Calfee was the only one to follow up and to see if I had made a decision. Made the deal on the spot. All other companies never called back. The policy was great and I have been insured with Calfee for 1 year. My interaction could not have been easier in setting up the policy specifics. I would recommend Calfee without hesitation. Thanks for the read. Excellent service. Responds quickly and always returns phone calls. Definitely would recommend to family and friends. Bryan was able to get us an exceptional reduction on property insurance and the agency is knowledgeable and quick to respond to questions. Very pleased with the service and products..
Mr. Calfee is an extremely professional person and detail oriented gives best outcomes. I have ever connected with and had an extremely wonderful service provider. Exceptionally expert and prompt in their service. Also, I have extremely awesome service provided by them.Highly recommend this Insurance agency Will tell other friends as well about them. Thank you. The customer service at Calfee Insurance was incredible. I could not be happier with the experience I had and I would highly recommend them to anyone looking for car or home insurance. They are the best in the business. I feel so lucky to have found Calfee Insurance! They have proven to be a godsend every year. I am definitely one of those people with a million questions and M. Alford was both very patient and knowle…dgeable. He also reminds me every year when it comes time to renew my policy and suggests new policies that are a better deal for me! The personalized attention they provide is unparalleled to any other insurance agency I have ever spoken with. Calfee Insurance is a great company, they not only saved me money but were so thorough that I got a more comprehensive coverage policy. They took the time to explain all the intricacies and variations… in the Coverage. Since we live near the water we didn't think we had a choice in policies but Calfee explained that the laws have changed and new coverage is available. Now we could combine our Home and Auto and save even more. I was with another company when working with Davidson O. at Arthur D. Calfee Insurance Agency, Inc. of Falmout…h Ma. Our policies are issued on Standard Comprehensive ISO Forms. Our homeowner's insurance policies are set with competitive rates, not JUA rates. Universal Insurance Holdings, Inc. (UIH), with its wholly-owned subsidiaries, is a vertically integrated insurance holding company performing all aspects of insurance underwriting, distribution and claims. Universal Property & Casualty Insurance Company (UPCIC), a wholly owned subsidiary of the Company, is one of the three leading writers of homeowners insurance in Florida and is now fully licensed and has commenced its operations in Alabama, Delaware, Florida, Georgia, Hawaii, Illinois, Indiana, Maryland, Massachusetts, Michigan, Minnesota, New Hampshire, New Jersey, New York, North Carolina, Pennsylvania, South Carolina, and Virginia. American Platinum Property and Casualty Insurance Company (APPCIC), also a wholly owned subsidiary, currently writes homeowners multi-peril insurance on Florida homes valued in excess of $1 million, which are limits and coverages currently not targeted through its affiliate UPCIC. UIH’s insurance company subsidiaries have established strong relationships with a network of over 8,000 independent agents by emphasizing personal interaction, offering superior services and maintaining an exclusive focus on homeowners insurance. 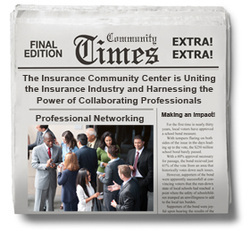 The Company’s insurance company underwriters work closely with independent agents to market and underwrite business. With competitively priced products, convenient installment billing plans and proactive claims management, both UPCIC and APPCIC provide their customers with superior service. As of December 31, 2018, UIH's insurance company subsidiaries serviced approximately 828,653 homeowners and dwelling fire insurance policies. We can help give exceptional peace of mind to a wide range of Home Insurance Companies to give you comparative & competitive rates for Massachusetts Home Owners and First Time Home Buyers. With one of the broadest property coverage extension lists available and an A.M. Best "A" XV rated carrier, we can help secure your home property insurance & family liability risks. We make it simple to find the best price on homeowners insurance from multiple companies. We recommend coverage amounts for your personal situation and break down everything we offer with clear-cut explanations so you know exactly what you’re getting.​ When purchasing property insurance, doing your due diligence is more than a turn of phrase. The period when a house is under contract is an essential part of the home insurance buying process and requires careful attention to detail. Being thorough in the due diligence phase will help you uncover potential issues and make the right choices for you and your family by calling us at (508)540-2601. Our products are designed specifically to meet the needs of successful individuals and families. You have the flexibility to customize coverage to ensure your home and other significant assets are properly protected. Insurance services to make your life easier. We deliver a service experience that minimizes the demands on your time by providing a variety of resources to assist you throughout your insurance policy term. Few things in life are as stressful as buying a home. That is, until something goes wrong with it. The real work of owning a house often begins after moving in, but you can start the journey well-prepared by being aware of these common pitfalls. Many homeowners make the unfortunate error of underestimating how much their personal belongings are worth. Though it's important to have your property appraised, that alone isn't enough. To get the most suitable coverage, factor in the value of everything inside your dwelling, too -- not just what it would take to repair. From improvements you've made and appliances you've updated to furniture, clothing and electronics, you'll need to account for everything that would have to be replaced. All homes require upkeep, and some tasks are more vital than others. Realistically, neglecting routine maintenance could even lead to a fire or flood. 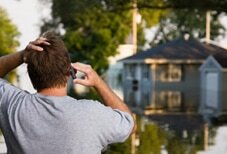 In fact, homeowners are more likely to file insurance claims for water and smoke damage than any other type. Since houses don't come with an owner's manual, it's a good idea to make and follow a home maintenance checklist that includes doors and windows, your washer and dryer, and fire prevention equipment. Do you fully understand your homeowners insurance deductible? If not, it's important to get to know how it works and what out-of-pocket costs you'll be responsible for in the event of an incident. Generally, the higher the dollar amount or percentage deductible, the less you pay in premiums each month. But before you increase or decrease it, make sure you know how various claims would play out. All homes, even new ones, experience unexpected issues now and again. Fortunately, many are preventable with a bit of know-how. Life can naturally be unpredictable, and various events may cause your car insurance rates to fluctuate, too. If you'll be making a change in the future, be aware of which common milestones could affect your premium. Buying a new car. This one might seem obvious, but it's a good idea to do some research before purchasing a vehicle so you're not surprised by your new premium. Keeping your insurance up to date starts with revising your policy to include major life changes. An annual review of your coverage will help make sure it still corresponds to your family's needs. Please reach out if you have questions or if you'd like to check in. Have questions about auto coverage for a new vehicle? ​Your homeowners policy pays to repair or rebuild your home if it is damaged or destroyed by fire, hurricane, hail, lightning or other disasters listed in your policy. Most policies also cover detached structures such as a garage, tool shed or gazebo—generally for about 10 percent of the amount of insurance you have on the structure of the house. ​Your furniture, clothes, sports equipment and other personal items are covered if they are stolen or destroyed by fire, hurricane or other insured disasters. The coverage is generally 50 to 70 percent of the insurance you have on the structure of the house. Liability limits generally start at about $100,000, however, it’s a good idea to discuss whether you should purchase a higher level of protection with your insurance professional. If you have significant assets and want more coverage than is available under your homeowners policy, consider purchasing an umbrella policy, which provides broader coverage and higher liability limits. ​ALE pays the additional costs of living away from home if you cannot live there due to damage from a an insured disaster. It covers hotel bills, restaurant meals and other costs, over and above your usual living expenses, incurred while your home is being rebuilt.